Bounce it. Stretch it. Now print with it! 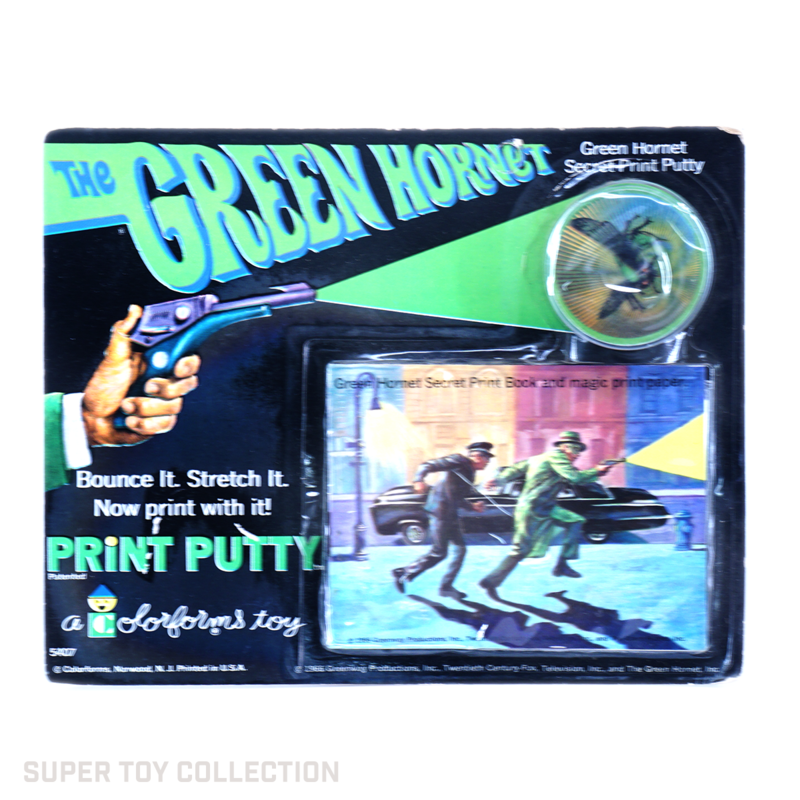 The Green Hornet secret print putty is a close relative to Silly Putty, but with much better packaging. 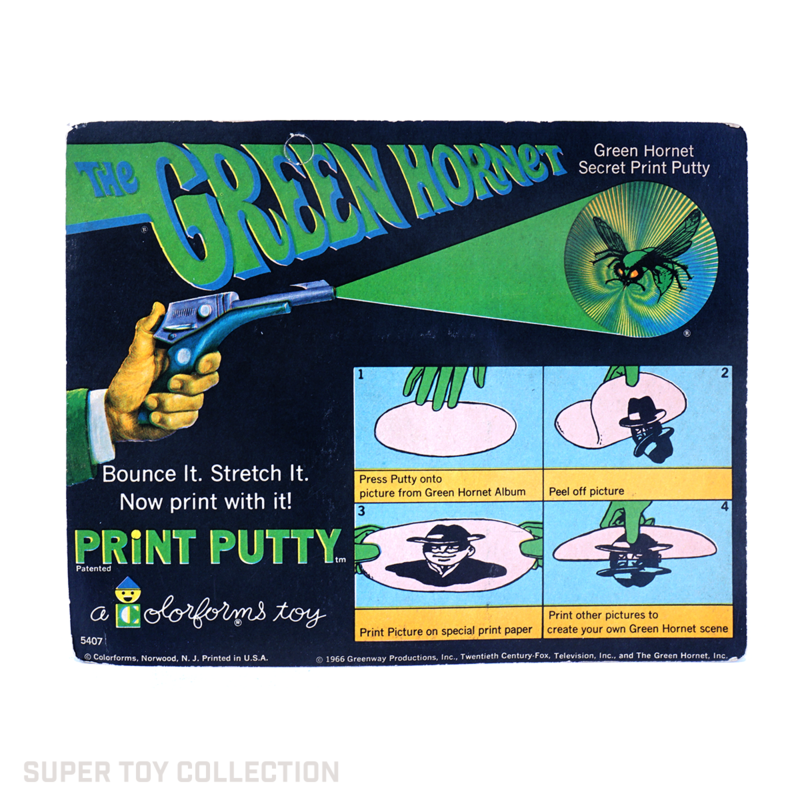 The print putty is packaged with a 12-page, black and white mini-comic featuring Green Hornet and Kato images that you could transfer with the putty. Colorforms produced similar print putty that featured Batman and Superman.